The Nifty Pharma index advanced 1.33%. IT stocks, were however, under pressure as rupee gained 35 paise to 72.65 against dollar in early trade. The indexes were set to finish the trading week about half a per cent higher. The domestic stock markets recouped early losses amid strong global cues by the afternoon session on Friday. 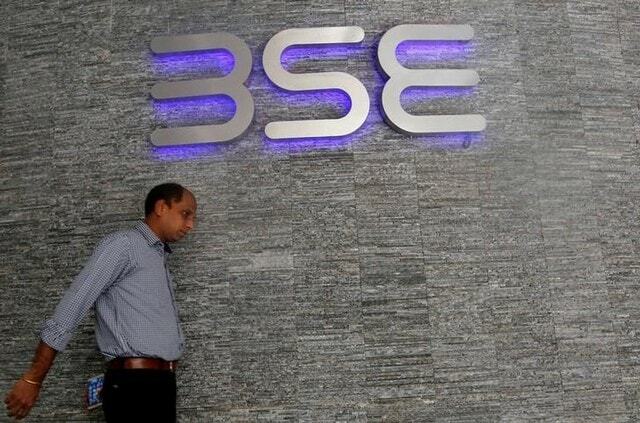 At 12:11 pm, the S&P BSE Sensex traded at 35,241.22 , up 3.54 points or 0.01 per cent, and the Nifty50 index of the National Stock Exchange (NSE) was at 10,608.70, with a gain of 10.30 points or 0.10 per cent. Thirty two out of 50 Nifty stocks traded with gains. Gaining between 1.68 per cent and 2.62 per cent, Adani Ports, Hindustan Petroleum, Yes Bank, Bharti Infratel and Hero MotoCorp were the top Nifty gainers. Pharma stocks were the top sectoral gainers. The Nifty Pharma index advanced 1.33 per cent. IT stocks, were however, under pressure as the rupee gained 35 paise to 72.65 against the US dollar in early trade. Bharti Airtel Ltd was the biggest percentage loser, with shares dropping as much as 5.7 per cent after rating agency Moody's on Thursday placed its credit rating on review for downgrade, citing low levels of profitability and expectations of weak cash flow. The indexes were set to finish the trading week, truncated due to holidays, about half a per cent higher, reported news agency Reuters. "We don't have much of a positivity from Asia...volatility is also slightly up, being the last working day of the week," Anand James, chief market strategist at Geojit Financial Services, was quoted as saying in the Reuters report. In the global markets, MSCI's broadest index of Asia-Pacific shares outside Japan fell 1.1 per cent and was headed for a loss of 1 per cent for the week. Hong Kong's Hang Seng lost 1.9 per cent and the Shanghai Composite Index fell 0.8 per cent. In the commodities market, rising supply and concerns of an economic slowdown pressured oil prices, with US crude now down by around 20 per cent since early October. With this, oil prices officially entered the bear market.